“It’s alive! It’s alive!” screamed Dr. Frankenstein, as his bold experiment to bring the dead back to life succeeded, much to his ultimate dismay. As we know, tragedy ensued, but it couldn’t be helped, right? Human beings are a curious lot, always attempting to unlock the door to the unknown, searching for the answers we believe are lurking behind it. This innate desire to discover has often led us to the brink of both wonder and despair. It has also led us, much like the good Dr. F, to do some bizarre things, many of them quite brutal and inhumane. Many of our experiments are conducted not on dead corpses, but on living, feeling animals. 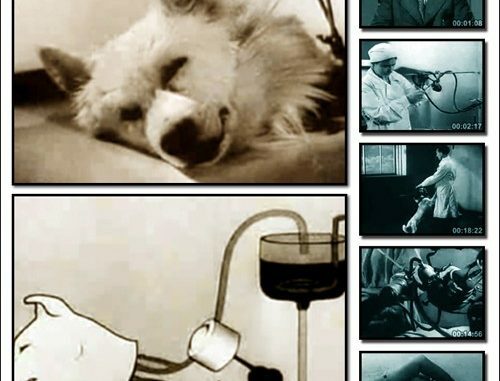 Here are 10 of the strangest animal experiments human beings have ever conducted. Perhaps trying to pave the way towards a future when human heads and bodies are interchangeable, in 1970, neuroscientist Robert White took the decapitated head of a monkey and attached it to the decapitated body of another monkey. You might say that the experiment was successful, in a way. The monkey head did actually wake up, and, not in a good mood, due perhaps to its unfortunate predicament, tried to bite one of the members of White’s team. The poor creature managed to stay alive for a day and a half, although it was unable to move its body (which would have involved attaching the brain to the spinal cord, a procedure still out of our skill set). 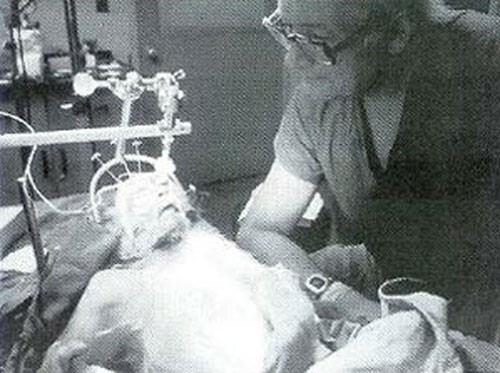 White, who died in 2010, never tried his methods on a human subject, although some speculated he had hoped to transplant the head of Stephen Hawking or Christopher Reeve onto a healthy body. Some scientists today believe the head transplant scenario is inevitable before the end of the century. Dog head transplants predated monkey head transplants by several decades; American Charles Guthrie accomplished the feat in the early 1900s (score another one for good old American know-how!). 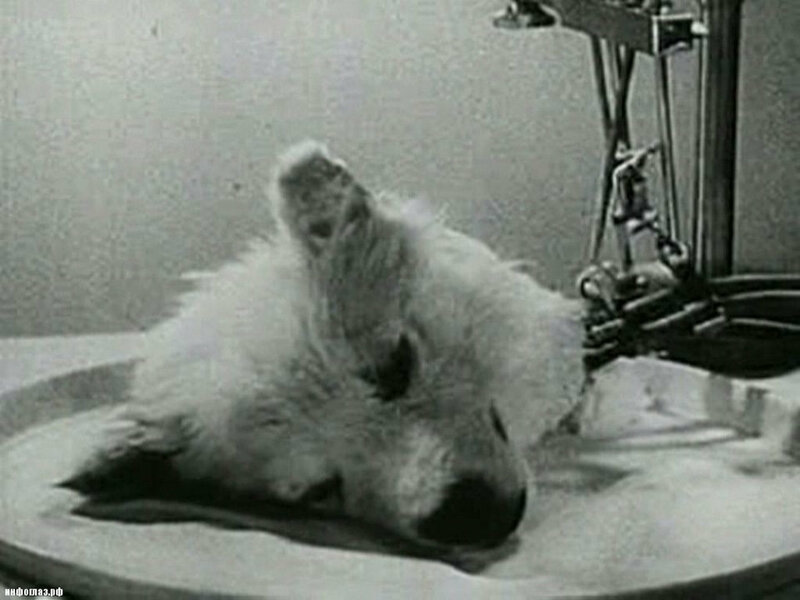 It was during the Cold War, however, when dog head transplantation reached its zenith, and it was the Russians who took home the gold. Vladimir Demikhov, a Soviet scientist, performed twenty such operations on canine subjects and perfected the art of dog head grafting. 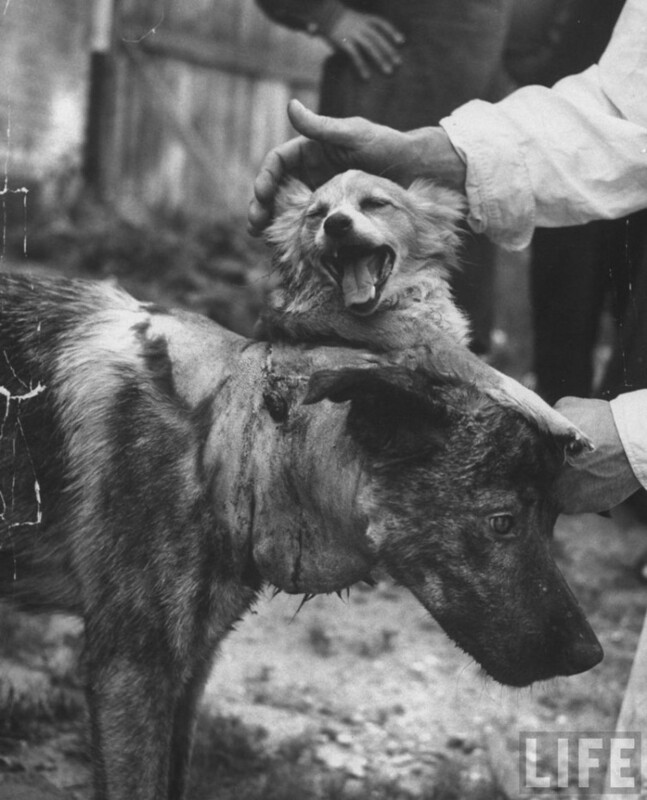 Demikhov would graft the head and front paws of a puppy on to the neck of an adult dog. There are fascinating/horrid/heartbreaking videos of the experiments that show the two-headed pets drinking milk, the adult looking fairly miserable, the puppy seemingly more adjusted to its lot in life. One of the experimental duos actually lived for a month afterwards. Nineteeth-century German scientist Karl August Weinhold was of the belief that the brain was more or less a battery, and the spinal cord akin to wires connecting the battery to the rest of the body. To prove his point, Weinhold conducted an experiment on an unsuspecting kitten. Weinhold basically scooped out the feline’s brain and spinal cord, waited for it to die, and then replaced the brain and spinal cord with an amalgam of zinc and silver. Then, Dr. Frankenstein-like, he sent a charge of electricity into the amalgam, and lo and behold, the cat, according to Weinhold, “got into such a life-tension that it raised its head, opened its eyes . . . finally got up with obvious effort, hopped around, and sank down exhausted.” A year after this cruel experiment, in 1818, Mary Shelley’s “Frankenstein” was published. Bugs don’t get a free pass when it comes to animal experiments. In 1948, a pharmaceutical researcher Peter Witt discovered that spiders build crazily-shaped webs when under the influence of certain drugs. Spiders weren’t the only recipients of psychedelic drugs. In 1962, Oklahoma scientists Louis Jolyon West and Chester M. Pierce were curious what would happen if an elephant were tripping. They convinced a local zoo to volunteer an elephant by the name of Tusko to participate in the study. 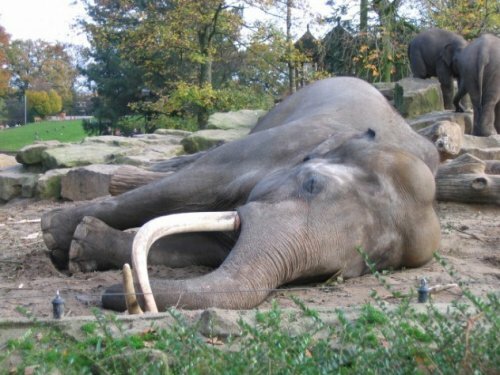 Preparing a syringe containing 297 milligrams of LSD (3000 times a normal human dose), the zoo director shot it into the unsuspecting Tusko. What would happen, they wondered? The scientists got their answer quickly. “Five minutes after the injection he trumpeted, collapsed, fell heavily onto his right side, defecated, and went into status epilepticus. The limbs on the left side were hyperextended and held stiffly out from the body; the limbs on the right side were drawn up in partial flexion; there were tremors throughout. The eyes were closed and showed a spasm of the orbicularis occuli; the eyeballs were turned sharply to the left, with markedly dilated pupils. The mouth was open, but breathing was extremely labored and stertorous, giving the impression of high respiratory obstruction due to laryngeal spasm. The tongue, which had been bitten, was cyanotic. 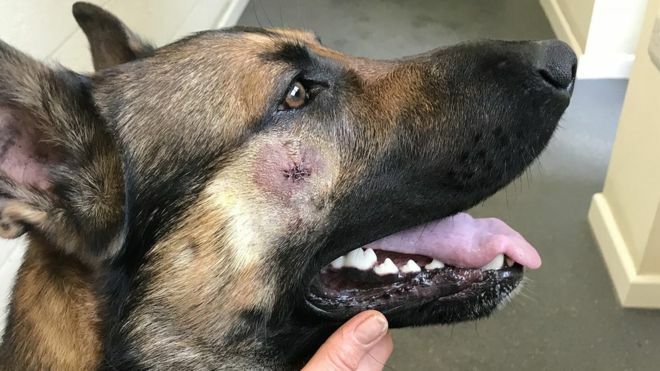 The picture was that of a tonic left-sided seizure in which, mild clonic movements were present.” Tusko died an hour and forty minutes later, despite efforts to revive him. The results published in a journal four months later informed readers that elephants are highly sensitive to LSD… Who would have thought? In the early 20th century, Duncan MacDougall decided to mix a little religion into his science experiments. Specifically, he decided to demonstrate that the soul had weight. MacDougall headed to an old age home where he procured the “services” of six patients dying of tuberculosis. Being able to easily identify the last hours of a tubercular victim, MacDougall placed the patient on a table scale as they were about to expire and weighed them before death and then at the moment of death. The first patient who died lost a total of 21 grams. The remaining five patients lost varied amounts of mass, but the 21 grams number stuck. MacDougall proceeded to then “volunteer” fifteen dogs to repeat the experiment. Since it was more difficult to predict the moment of a dog’s death, MacDougall basically weighed them, killed them, and then weighed them. The poor pooches apparently displayed no loss of weight before and after. MacDougall’s conclusion? People have souls that weigh 21 grams, dogs have no souls. The New York Times even ran a story about MacDougall’s experiments (“Soul has Weight, Physician Thinks”). Critics quickly pointed out that only one patient lost the 21 grams, that the others were all over the map, and that the weight loss could be accounted for by the patient perspiring at the moment of death since the lungs were no longer cooling the blood. Dogs, having no sweat glands, do not perspire. Tearing another page out of the Mary Shelley playbook, Robert Cornish, a University of California researcher in the 1930s, decided to try his luck at the “reviving-the-dead” game. Cornish was convinced that, as long as major organ damage was limited, he could bring the dead back to life. His unwitting volunteers were four fox terriers. 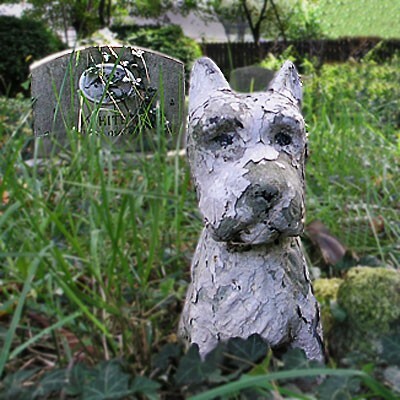 Perhaps displaying a streak of the messianic, he named all four terriers Lazurus, after the biblical character who rose from the dead after Jesus’ touch. Of course you have to die in order to be brought back to life, so the four Lazuri were all asphyxiated. Their blood was manually pumped to continue blood circulation, and Cornish then injected adrenaline and anticoagulants into their systems. Two of the Lazurus pups failed to live up to their name. Two, however, did indeed revive, with a couple of side effects. They were blind and severely brain-damaged. They did live for a few months after, though reportedly their presence terrified other dogs around them. Cornish continued his experiments, although he was kicked off the campus when word got out of his macabre doings. In 1947, he tried to get a human subject to revive, and actually got a death row inmate, scheduled for execution, to volunteer. Prison officials, however, fearful that if he was revived after execution, they would have to release him, promptly un-volunteered him. Cornish gave up his death-defying activities and turned to a life as a toothpaste salesman. 8. Where’s the Rest of Me? In 1928, a Soviet scientist, Sergei Brukhonenko, was the developer of the autoinjector, a primitive heart-lung machine. Seeking to prove it was possible to keep a disembodied head alive by circulating blood through it, he proceeded to disembody a head. Hooking the unfortunate canine paricipant up to his machine, he then filmed the head. He shined a light in its eyes and it blinked. He pounded the table and it flinched. He fed it cheese and it came out the other end of its esophagus. The veracity of Brukhonenko’s experiment has been questioned (some claiming it was staged), and the results have never independently been confirmed. Still, his work, while distasteful, contributed greatly to subsequent work on organ transplant and open heart surgery, and he was awarded the Lenin Prize by the Soviet Union after his death in 1960. In 1927, Soviet scientist Il’ya Ivanov set out for Africa with an interesting objective: to capture a bunch of female chimpanzees, inseminate them with the sperm of (presumably) Soviet men, and create a man-ape hybrid. It didn’t work. Undaunted, Ivanov decided to switch it up. He returned to the motherland with a plan to inseminate female humans with ape sperm. He brought an orangutan (he named Tarzan) back with him as his donor. Ivanov actually got a few female volunteers to carry the proposed ape-child, but, sadly for science, before the experiment could be carried out, Tarzan died. Ivanov himself fell under suspicion by the Stalin-esque state, and was imprisoned in 1930. He died in a labor camp in 1932. His work was not totally without merit, however. Horse breeders used many of the insemination techniques Ivanov developed. Larry Schwartz is a Brooklyn-based freelance writer with a focus on health, science and American history.